Known collectively as Friends With You, Miami artists Sam Borkson and Arturo Sandoval III use a variety of popular culture sources to create a body of work that is universally accessible and sends a positive message to inspire creativity and good will. Rainbow Valley is South Florida’s first indoor interactive playground created as a site-specific installation by contemporary artists. 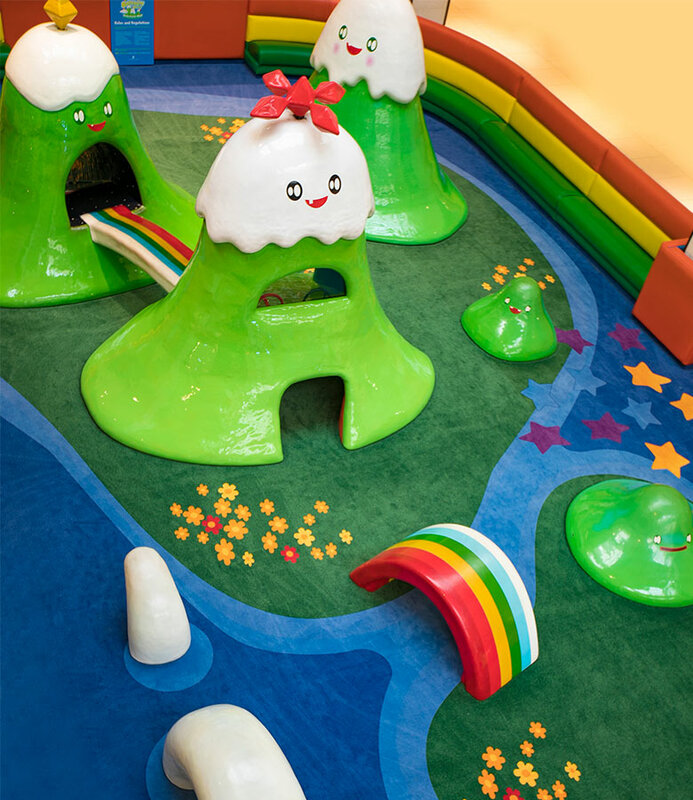 Inspired by a story of the artists’ creation, the playground is a magical dream world in which children discover Peekoo, the baby mountain, and his adventures with his new friend, Cloudy, in the magical Rainbow Valley. Children play in a sea of vibrant rainbows, clouds, small mountains and water, represented by Friends With You’s inventive designs. The artists’ first solo museum exhibition was organized by the Museum of Contemporary Art, North Miami in 2005.